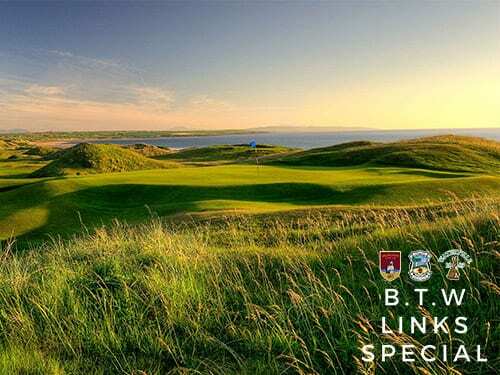 A breathtaking challenge – the legendary Tom Watson described the glorious links at Ballybunion Golf Club as the best in the world. High praise indeed for this magnificent test of golf which meanders menacingly through massive dunes on the shores of the Atlantic. The Old Course is consistently ranked as one of the world’s top ten golf courses, features a graveyard by the first tee, which some say is a warning to golfers who breeze through the first five holes only to come face to face with the ever changing 6th, the fiendish 8th, the daunting par four 11th and the devilishly tricky 15th. Tralee Golf Club founded in 1980 is located 8 miles Northwest of Tralee town on the Barrow Peninsula. A sensational Arnold Palmer designed links course alongside a beautiful rugged coastline where one can see the ocean from every hole and a seascape. 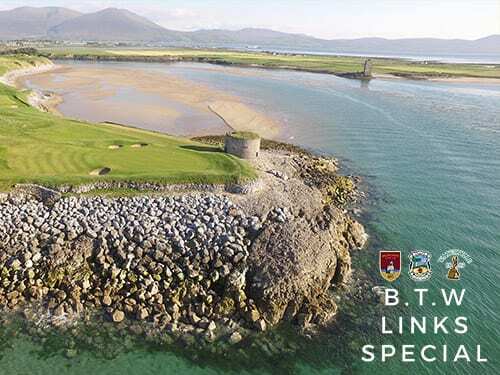 It lies on the Southwest coast of Ireland at the gateway to the Dingle and Fenit Peninsulas and is one of the world’s most scenic and spectacular true links golf courses. The magnificent beach and surrounds featured prominently in the epic film Ryan’s daughter on the gentler outward nine you will negotiate the 6th, 7th and 8th known locally as Palmer’s loop. Waterville Golf Club founded in 1889 is located on the Ring of Kerry, approximately 1 mile from the village of Waterville and 50 miles from Killarney. 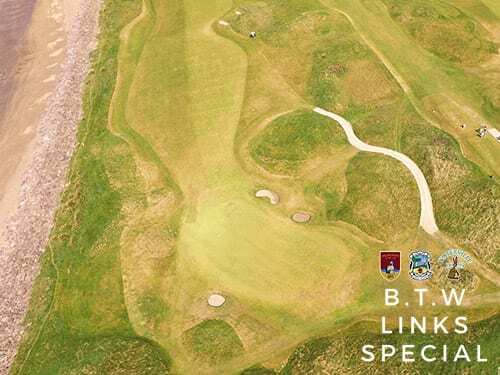 Links land is a geological rarity, less than one percent of all the courses in Ireland and the British Isles are championship links, Waterville is one of these. After 80 years of play, the original nine hole course was redesigned by the famous Irish golf architect, Eddie Hackett and the late owner, John A. Mulcahy. Today Waterville is truly magical. The course gradually introduces the player to its special tempo and rhythm and concludes with a symphony of links beauty. Each hole at Waterville is a wonderful experience, with the 2nd and 3rd holes, both par fours, being particularly impressive. The par three, 17th is probably the feature hole. Waterville is one of the finest links golf courses in the world, never mind Ireland. The Links resort includes Waterville Golf Links, Waterville House, the Directors residence, and a four-star 18th-century manor. Guests enjoy preferential access to Golf Links and one of the finest salmon and sea trout fisheries in Ireland. I thank you and your staff so much for making our Ireland family golf trip so memorable and fantastic! We loved the fact that you were able to customize our schedule according to golf courses that Matt wanted to play and your communication was phenomenal! We, loved all the courses, they were just so breathtakingly beautiful!! But… we, absolutely loved Tralee and found that course to have the best caddy, and he was a member of that club! For the most part, we had good Irish weather, some rain and some clouds!! We had one difficult wet day during the trip, however, the doorman at our hotel saw us come in like drowned rats and offered for us to put our clubs and gear in the boiler room to help everything dry… that was terrific!! We appreciated that nice gesture immensely. The hotel was terrific, also, they had the gym and wonderful staff. We thank you for arranging the 3 dinner reservations, we loved Lord Kenmare and appreciate the Saturday night reservation there. Thanks again, for putting together an unforgettable once in a lifetime trip for our family, we appreciate all your help! There is some fantastic options for food available, all a short distance from the town centre. Highlights from the list would be D’arcy’s Restaurant, Finnegans Restaurant, The Pikeman Bar and The Stonehouse Restaurant. If you are willing to travel slightly further out of town Spa Seafood, the Westend Restaurant, the Oyster Tavern or Brooks Restaurant are well worth the trip. For the more active and adventurous visitor, you could go cycling on one of the numerous mountain tracks that surround Tralee, try the rock wall or Paddle Boats in the Tralee Bay Wetlands or go for a stroll along some of the best beaches the country has to offer, Banna, Fenit or Derrymore are all within 20 minutes of the town centre. -Exchange rates are only an approximate and will be subject to change at the time of booking. Additional supplement for weekend golf will apply. – All courses subject to availability at the time of booking. 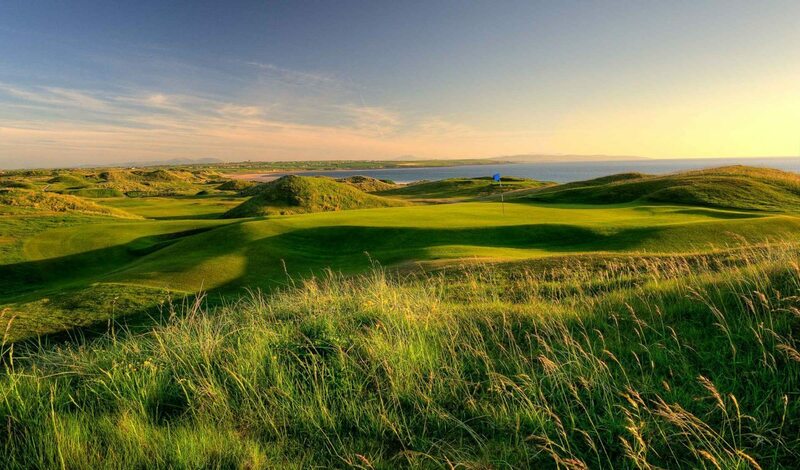 Ballybunion Golf Club closes for the season on October 5th 2018.